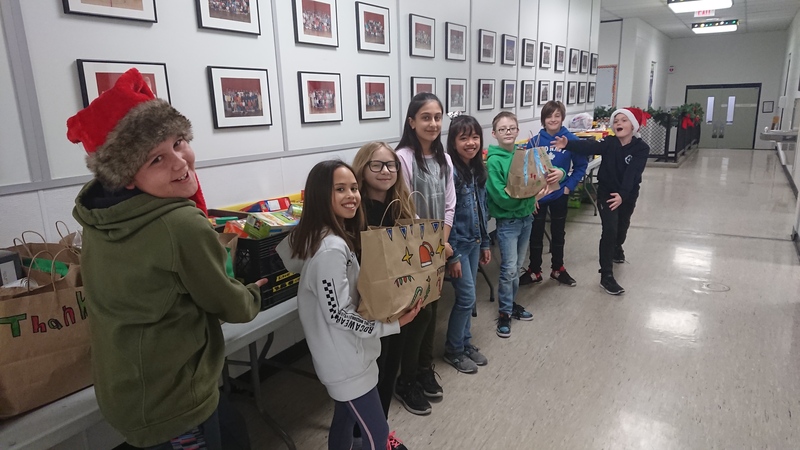 Mills Haven Elementary students found a creative way to collect items for the Strathcona Food Bank. They went out within their community to collect food items and relying on the generosity of their neighbours. Student volunteers stopped by 250 homes where they left a paper bag and a note on every doorstep. The note explained that they were doing a food drive and asked residents to consider filling the bags with non-perishable food items. The community of Mills Haven came through, with more than 100 full bags waiting for students when collection day came. The school collected enough donations to fill roughly 50 milk crates, which arrived to the food bank just in time for Christmas.